This oil-free, Raspberry Ketone body and face lotion is formulated to use all over! It contains high amounts of anti-oxidants, anti-aging ingredients, as well as Raspberry ketone to help detoxify and burn fat when applied on the body. This quick absorbing, oil free body lotion is the perfect natural skin lotion for the HCG Dieter and delivers hydration throughout the day. The incredible actions of raspberry ketones work synergistically with the patented ingredient Skinmimics to also replenish the lipid barrier and create healthy, nourished skin. Natural raspberry adds a delicate, natural fragrance and acts as a terrific anti-oxidant to help reduce free radical damage. To find out more about how to turn this lotion into an anti-cellulite formula,CLICK HERE. 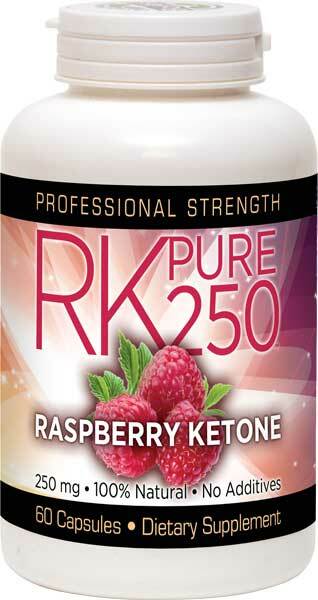 ALSO available: 100% PURE, Raspberry Ketone RK Pure Supplements - 250 mg PURE, natural, raspberry ketones and made in a USA, GMP Certified Lab . Purified Water, Cetyl Alcohol, Caprylic/Capric Triglyceride, Glycerin, Hyaluronic Acid, Ahnfeltia Concinna Extract, Stearic Acid, Stearyl Alcohol, Rubus Idaeus (Raspberry Ketones) Fruit Extract, Hydrolyzed Rice Protein, Tocopheryl Acetate, Retinyl Palmitate, Cholesterol, Ceramide EOP, Ceramide EOS, Ceramide NP, Ceramide NS, Cearmide AP, Caprooyl Phytosphingosine, Caprooyl-Sphingosine, Cetylpiridinium Chloride, Dehydroacetic Acid, Benzyl Alcohol. This stuff really helps my dry skin on my face. I get wind burn kind of real easy. My wife gave me this when she was on the HCG Max diet a year ago and I still use it all the time. The best deal is 2 bottles at a time. I am so thankful I found an oil free body lotion! I am on the HCG diet and my skin was really getting dry! I found your body lotion by just surfing the net! I have started using it and my skin feels so much better than it did before!